So, first things first. Greg has never been on a cruise. Or to a tropical island. We decided a while back that that needed to change ASAP. I also resolved that instead of dreading my upcoming 30th birthday, I was going to book some sort of an adventure to celebrate the occasion. As a result, we've been researching different cruise lines for quite some time and eventually decided that our love for Disney (and the fact that I've already tried out Norwegian), made the Disney Cruise our top choice. But we don't have kids! Fear not - we're still young at heart, children don't annoy us (most of the time), and, like I said, we love all things Disney. But also, it turns out that the Disney Cruise offers a LOT of great features for adults, many of which ultimately won us over. The Disney Cruise really appeals to us because, similar to all of their resorts & theme parks, everything is themed to the max. For that reason, we can't wait to try out their rotation of restaurants. From Animator's Palate to the Enchanted Garden and to even more casual restaurants like Cabanas, pictured above, they all seem so unique. From what we've heard, the food is amazing too. It's also going to be nice to have all of our meals already included (unlike every other trip we've taken together). No need to worry about how much we order or choosing expensive items off the menu! The last cruise I went on, I had a portal room. It offered some view of the surroundings, but to really appreciate where we were, I had to venture elsewhere on the ship to find a balcony and really soak it in. What I really craved was to be out in the ocean air with a better view of all that was going on right from my stateroom. So on this cruise we decided to pay a little extra for that luxury. Enjoying the view and the fresh breeze whenever we want is going to be nice. Ok, so this is going to sound crazy...I've run eight half marathons and four 10Ks, but I've never run a 5K! Disney's private island, Castaway Cay, has one the day we're there, which also happens to be my birthday. We hear it's usually hot, even early in the morning, but it is only 3.1 miles. I think we can manage for the experience & the medal (we're basically RunDisney addicts). Plus we get a sneak-peek of the island before most people are out and about. Really looking forward to literally racing into my 30's! We ultimately chose the Disney Cruise over more affordable options due to their attention to detail in the design of the ship, the extensive theming everywhere, and the great things we've heard about Castaway Cay. 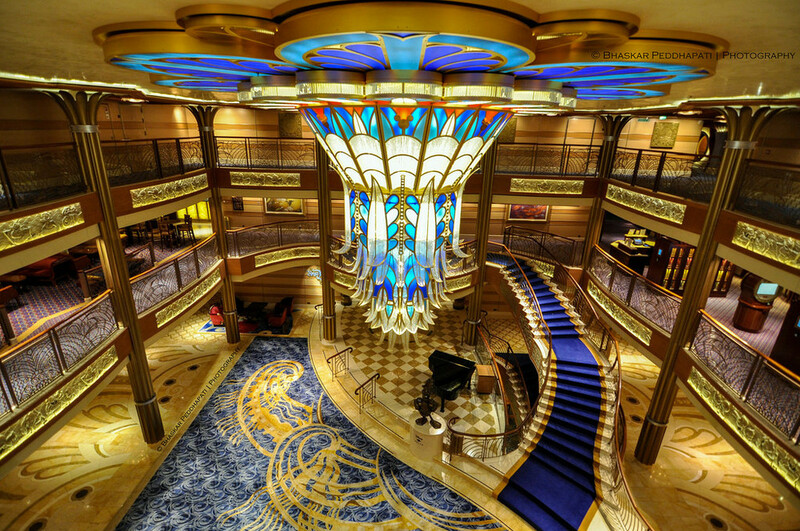 We really cannot wait to explore as much of the Disney Dream as possible. We've always appreciated all of the hard work that Disney puts into the environments they create so we want to see how they executed the design of the ship. I almost feel like, with a cruise this brief, we won't even be able to see it all! It also seems that on Castaway Cay there are lots of fun hidden elements sprinkled across the island to discover on a bike ride, while snorkeling, or just by wandering about. We'll definitely spend some time relaxing on the beach but we'll also have to do some exploring. Ok, so this one might seem a little weird, but hear me out. One of the things I love about Disney's parks is exploring all of the gift shops to see all of the different things they have for sale. I don't necessarily buy a lot but I just enjoying "window shopping." Since I've been to Disney World & Disneyland quite a bit in the past year (mainly due to all of our RunDisney races), I pretty much know almost all of the merchandise they have available. 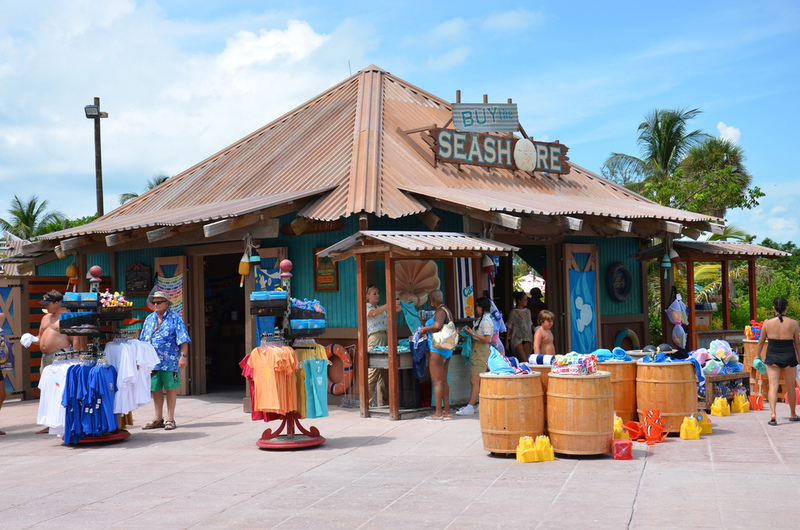 From what I've read, there's lots of Disney Cruise & Castaway Cay merchandise that you can only get while on the cruise and on Disney's private island. I'm excited to get to check out a whole new batch of goods and maybe find some tropical or tiki themed things along the way! There are quite a few bar & lounge options on board but these two have really stood out to me as I've explored what the Disney Dream has to offer. They seem to have really great themed environments and drinks to go along with them. Pink is designed to look like you're inside a champagne bottle which I think looks pretty cool & classy. I'm looking forward to sampling some bubbly drinks while we're there. Skyline has screens with images that change throughout the night to make you feel like you're in different cities around the world. The drinks are inspired accordingly which seems more fun to me than perusing a standard drink menu. I also worked on some immersive environments at my last job before I took the leap into becoming a freelancer so I'd like to see how well this one is executed. Hopefully as first time cruisers we can manage to book a dinner at Remy (prior cruisers get to book further in advance). It seems very similar to Victoria & Alberts (which we LOVE) with multiple courses & world class cuisine. I can't wait to try out a different restaurant with a similar concept and different menu. The art nouveau styling of Remy also looks great. One thing to note is that there is an additional charge for this meal ($85 per person) but given the cost of dining at Victoria & Alberts, we think it's worth it. Fingers crossed we manage to snag a seat for my 30th birthday dinner. If not, our second choice is Palo, an Italian restaurant that gets rave reviews (and is a little cheaper at $30 per person). While we don't mind a lot of the kid-centric activities and features on this cruise, we are also looking forward to a relaxing vacation. It's great to know that there is a quiet, adults-only beach on Castaway Cay called Serenity Bay. I can just imagine kicking back in one of those chairs with a cold, fruity drink in my hand now...ahhhh. There's always the adults-only pool on the ship too. 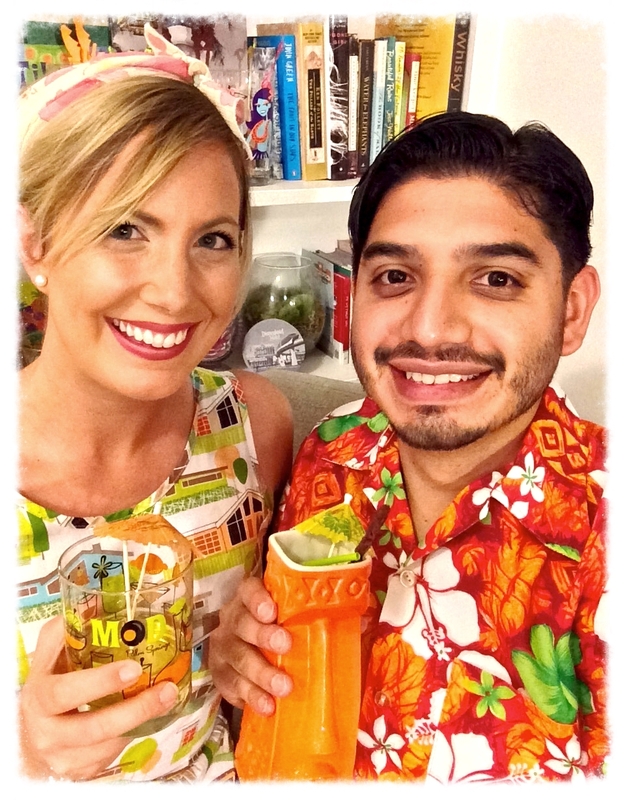 Because what tiki-lover doesn't look forward to tropical drinks? Of course there will be plenty to go around and we're always looking to sample! From the reviews we've read, the Konk Kooler on Castaway Cay seems to be a fan favorite. They even serve it in souvenir coconut cups. We've also heard that there are daily drink specials on board. Always appreciated since alcoholic drinks are some of the few things not included in the almost-all-inclusive price tag. We've enjoyed perusing the Disney Cruise Line Blog, which features an extensive guide to drinking on the cruise. So far, we're really excited for all of the options available! Have any of you been on a Disney Cruise in the past? We'd love to hear your tips before our upcoming trip!